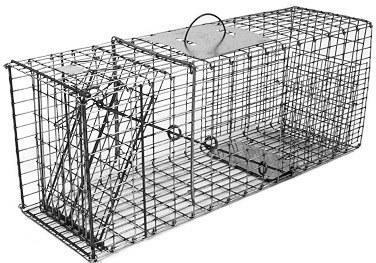 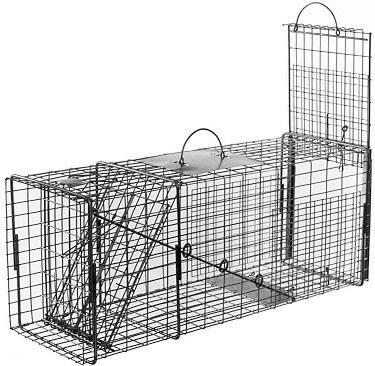 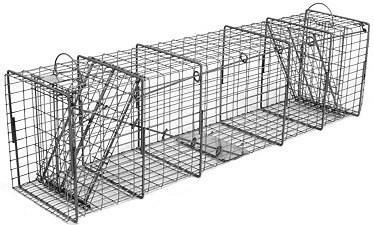 108.7 SUPER STRONG live trap with two trap doors for armadillos, large raccoons, large groundhogs and similar size animals. 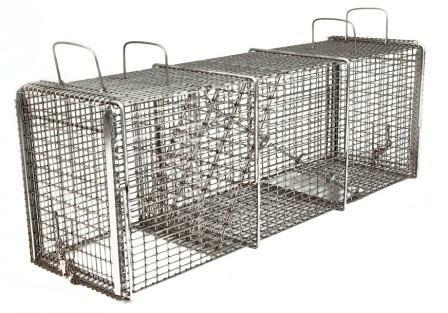 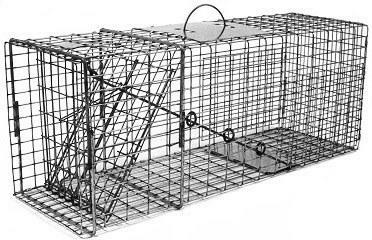 This is one tough trap built to withstand the strongest critters. 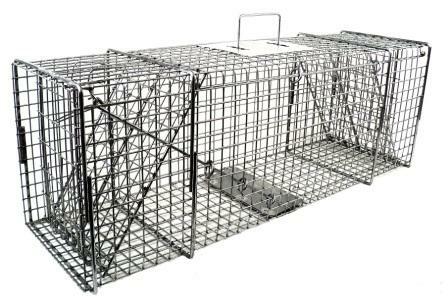 It is wrapped with 12 - 1/4" steel U-Bars for added strength.